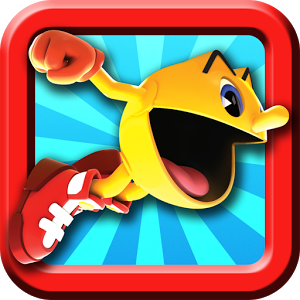 There are three parts to any good Pac-Man game: a maze, some ghosts, and a little yellow dude eating dots and going "wakka wakka." That's it. Despite this seemingly simple formula, Namco has tried to make Pac-Man a mascot for the ages a la Mario, putting him in everything from platformers to kart racers to freaking Tekken. 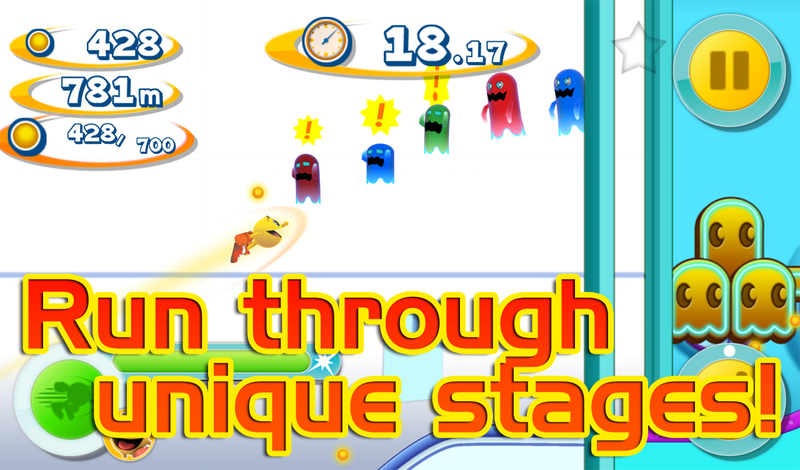 The latest indignity is Pac-Man Dash, in which the little yellow guy jumps on the endless runner bandwagon. Look at Pac-Man. He's miserable. His little stubby legs were never meant to endure this kind of marathon running and jumping - hell, he's only had them since the 90s. His waxen smile is covering a world of yellow pain that can't be hidden by incredibly upbeat techno music, and is only intensified by over-the-top pre-rendered cinematics. Why, Namco? Why have you forced your favorite son into shameful servitude? All jokes aside, this looks like a pretty solid endless runner. It's got the standard currency collection aspect, with vehicles, power-ups, and a good bit of stage and enemy variety - something that all too many of these games tend to forget about. 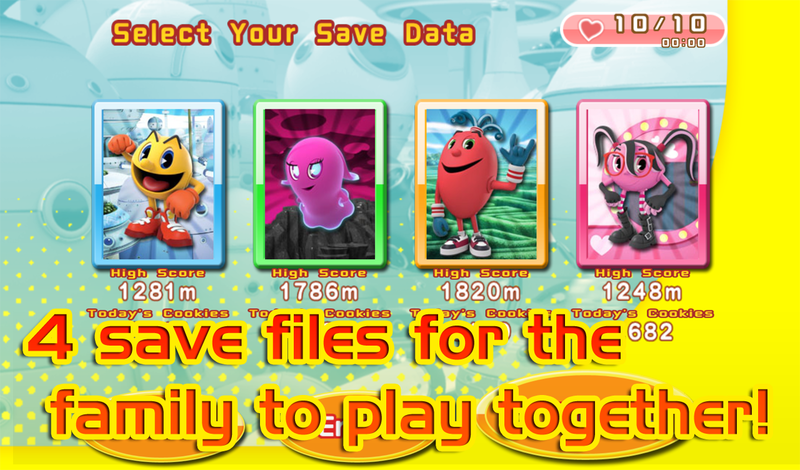 There are multiple save files that encourage some hot potato family play, and the graphics and music are pretty solid as well. Save files can be synced over Google Drive - a nice touch. It's sitting at an impressive 4.9 out of 5 after a couple of dozen downloads (currently Namco Bandai's best-rated game). Just ignore the fact that Pac-Man could be replaced by a piece of sentient tofu without detrimentally effecting the gameplay. 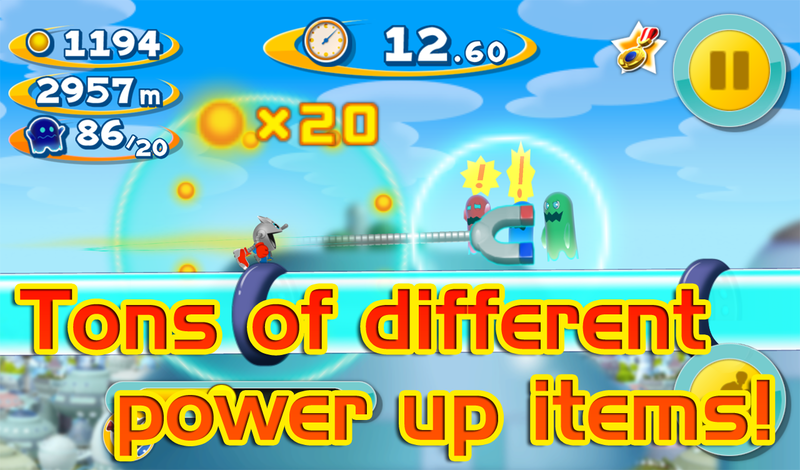 The game will even let you scan the barcodes of certain Pac-Man toys for digital powerups, not unlike the upcoming Angry Birds Star Wars II (hey, look, more bastardized intellectual property). 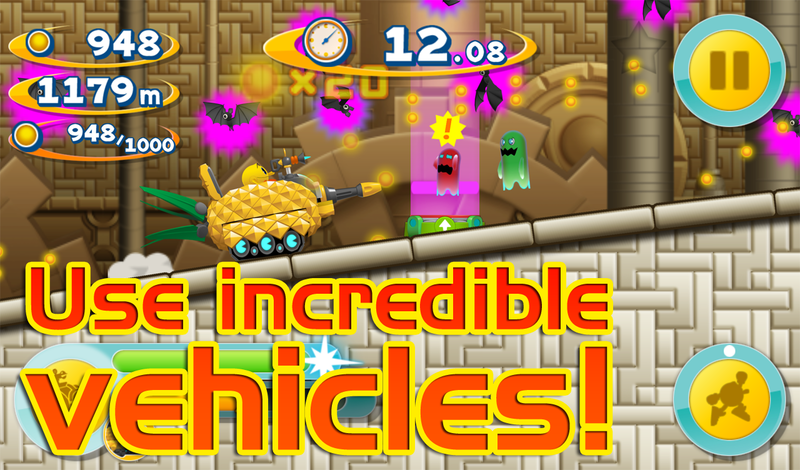 Don't be surprised when you're pushed towards some in-app purchases - this is a free endless runner, after all. And once you're done, maybe you could make Pac-Man happy by playing a real Pac-Man game. Come on. For old time's sake.